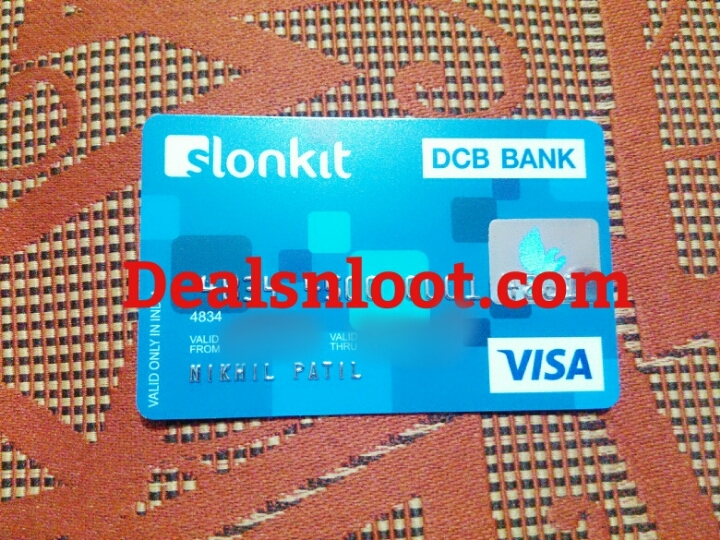 Hello Dealsnloot Readers,SlonKit App Refer & Earn – Get Rs 100 Cashback on adding Rs 200 to your Slonkit wallet + Also Get Rs 100 per Referral, Slonkit Provide Visa Virtual Card, Powered by DCB Bank.Fast refer and grab the Unlimited loot.That is giving Virtual card to all users that can be used on any site to make payment as real card, Additionally you can earn free cash by referring your friends on it, Per Refer you will get Rs. 100. Update : - Plz load rs. 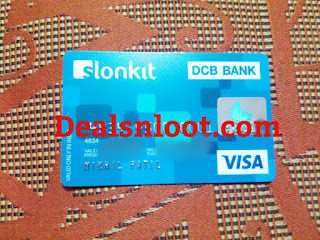 200 in account using bank debit or credit card to use refer credit in slonkit account. and activate properly your slonkit card. 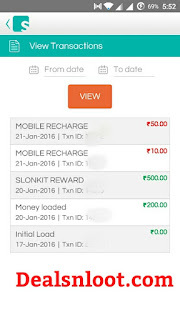 Slonkit is a mobile app (connected to a re-loadable prepaid VISA card), to enable youngsters to get pocket money instantly. They can now get more out of their pocket money through Slon kit offers, get updates and insights to manage their pocket money better and also “Go Dutch” with their friends ! Note :- According to their Terms & Conditions you & your friend get Rs 100 when you orders a SlonKit card & Referral amount can be redeemed only when the referee does the first load. 1) Goto >> Menu >> Refer Friend >> Get your Referral code. 2) Now Share your Refer code with your friends Once your Friends Download Slonkit App using your Referral link, the You & your Friend Both get additional Rs 100 Cashback in Slonkit account. > Fill your Postal address and Select State and City from the option. > Add Money "Min Rs.200" to get benefit of Referral Code. > You will get Instant Rs.200 after adding money in your wallet. > The VCC will be delivered to you within 7 days. > You can redeem all your earnings [Earned by Refer & Earn] after two days from creating the account. What is Big Update ? 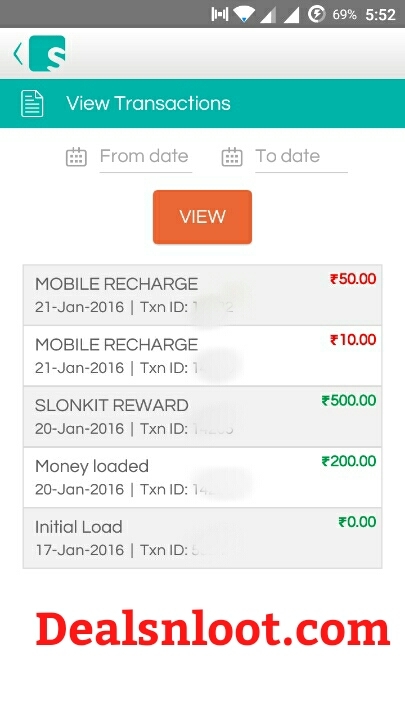 2) Now Share your Refer code with your friends Once your Friends Download Slonkit App using your Referral link and Add Rs 200 to Slonkit then You & your Friend Both get additional Rs 100 in your Slonkit account. Request for a Physical Virtual Card which can be delivered to your Home within 5-7 days at Free of Cost. Hurry up !!! 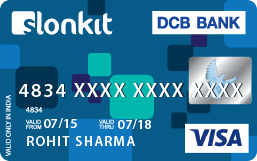 Update :- we have got our Slonkit Physical card Today and Successfully used that Debit card on Oxigen wallet & FreeCharge and their is no OTP problem, but i Face first time Transaction “Declined by issuer” error but after that its working fine on Oxigen wallet & FreeCharge. *Remember you will be able to track the same after it get shipped so please try this method after 5 days of ordering you card. 2. On left side you will see a tracking window. 5. Click on Go. You will get your status update. In case no status is showing then try again later. May be your card has not shipped yet. Note down your refer link and uninstall the app.